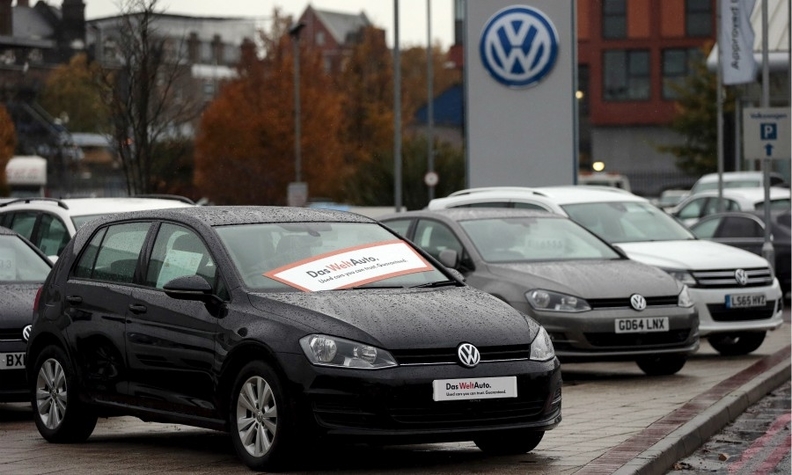 FRANKFURT -- Used Volkswagen cars have maintained their value in Europe and continue to command a premium over the competition despite an emissions crisis that has damaged the brand and the image of diesel, credit-rating agency Moody's said. This will continue to support the performance of VW asset-backed security deals, in which residual values are a risk if they fall below the value of outstanding debt on car loans, in the key markets of Germany, the UK, France and Spain, it said. But the ratings agency said it expected negative pressure on the value of diesel vehicles would increase, as regulation against diesel may come into force in cities like Madrid, Milan, Paris and Stuttgart as well as in Britain. "We expect 2017 will see a larger decline in the proportion of new diesel vehicles sold and this shift in consumer demand will be echoed in the used car market. This will reflect stricter regulations related to diesel vehicles in most markets," it said. Bavaria said earlier it had struck a deal with BMW, Audi and MAN to cut diesel-engine pollution, with carmakers promising to reduce emissions from older models and the state government planning incentives to spur sales of newer, more efficient cars. That coincided with a warning by Germany's ADAC car club, Europe's largest and most influential, to push back planned purchases of diesel cars until more fuel-efficient Euro-6D technology becomes available in new models this autumn. Due to the more efficient fuel burn and lower carbon dioxide emissions compared with gasoline-powered cars, Germany's three major carmakers have invested heavily in diesel technology. While only a niche market in the United States, where Volkswagen's emissions test-rigging scandal broke, about half the new cars sold in Germany were diesel-powered before the crisis. That market share has since declined to just over 40 percent.